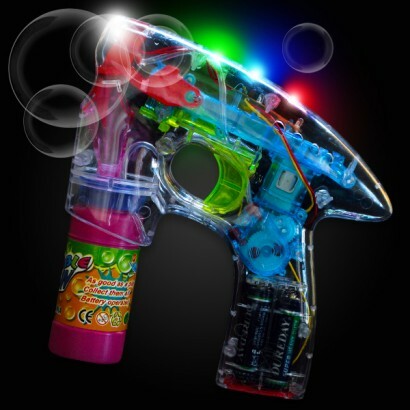 Create an awesome bubble light show with the fabulous LED transparent bubble gun. Watch the bubbles being created through the transparent gun, and then release them in a steady stream that's bound to amaze! 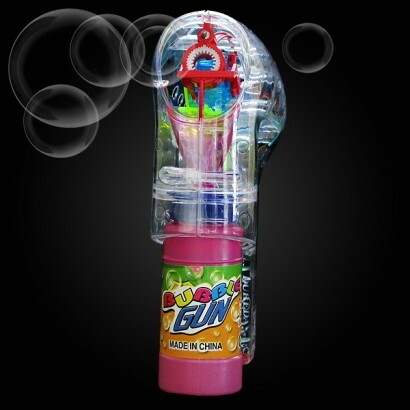 Kids of all ages (including adults) will love creating bubbles with The Light Up Bubble Gun. Batteries and bubble solution included so its ready to go for bubbly fun.